A little more than two months after the horrific school shooting in Parkland, Florida, ShotStop® Ballistics introduces two new products that would have saved lives that dreadful day. ShotStop immediately began to focus on developing a solution that would ultimately keep kids safer in school, in public places, and in other areas where a potential threat may arise. And, in just over two months ShotStop has developed the lightest, thinnest, and strongest bulletproof backpack insert in the world. ShotStop is always driven to do more than what’s expected, and its new BallisticBoard® backpack insert is no different. 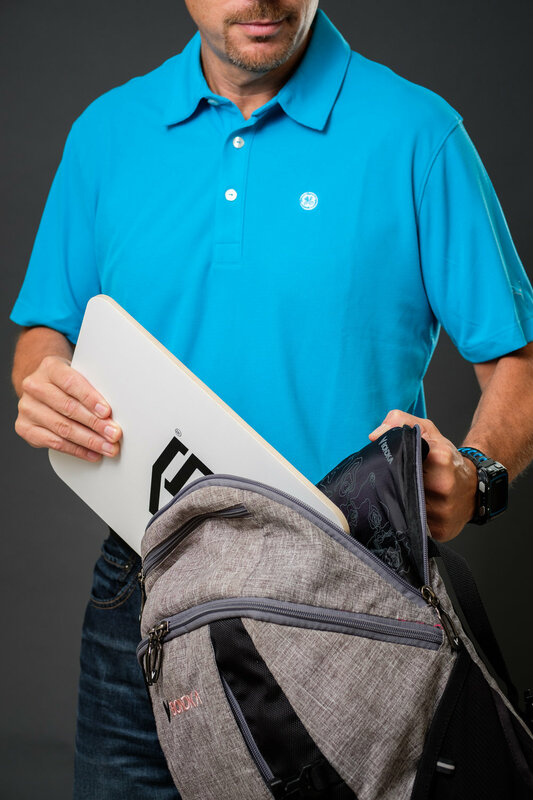 Utilizing ShotStop's patented Duritium® technology, it is the world’s first rigid bulletproof backpack insert that stops the AR-15 and AK-47, weighs less than four pounds, and is around a 3/4-inch thick. It's called the SSB-III-RA and retails for $319-339. To ensure access to as many people as possible, ShotStop also developed a slightly heavier version called the SSB-III-RA2, which weighs a little more than four pounds and is just 0.9 inches thick. The RA2 comes in around $275. While 100 percent of parents would say they would rather not send their child to school with a bulletproof backpack, that same 100 percent would absolutely agree that they would do just about anything to keep their children safe – at school or wherever they may be. In the wake of the shooting at Parkland’s Marjory Stoneman Douglas High School, the idea of putting a bulletproof insert into a student’s backpack became commonplace as parents scrambled to respond to concerns about school safety. A few days after the Parkland shooting, one father in Ohio had decided to place a ShotStop soft bulletproof insert into his son’s backpack, and the next day a would-be-shooter happened to walk into Jackson Township High School where his boy attends. Luckily the threat was avoided that day, but parents began to have second thoughts about the safety of their kids in schools. Several school districts have reached out to ShotStop and are considering purchasing the backpack inserts as a school asset to assign out to students at the beginning of the school year for return at the end of the year. ShotStop is in talks with a school safety-consulting group about how it can use ShotStop’s BallisticBoard material to convert standard school equipment – desks, bookshelves, doors – into bulletproof items to use as cover in an active shooter situation. BallisticBoard inserts also fit in computer bags and purses, not just in backpacks. Find out more at http://www.ShotStop.com/ballisticboard, or call 800-986-0795 or 1-330-686-0020. U.S.-based ShotStop Ballistics is developing the lightest, thinnest, and strongest advanced armor technologies in the world. From body armor plates and armored vehicle protection, to its innovative BallisticBoard® material and custom armor solutions, ShotStop Ballistics is leading the way in improving the protection of our police, military, special forces, S.W.A.T., security personnel, and more. With technical expertise that spans more than 35 years (see Vallmar Engineering), the ShotStop team brings together engineers, Ph.D.’s, chemists, product developers, and ballistic specialists, to create ballistic technology that saves lives, reduces physical encumbrance, and maximizes performance. ShotStop consistently uses independent and federally accredited ballistic labs, including the Department of Defense and National Institute of Justice, to ensure ShotStop armor provides our servicemen and women with the best possible protection. Contact ShotStop Ballistics at www.ShotStop.com, call 800-986-0795/1-330-686-0020, email info@shotstop.com, or write to 1000 Campus Dr., Suite 300, Stow, Ohio 44224.